This is the king of no-frills travel. 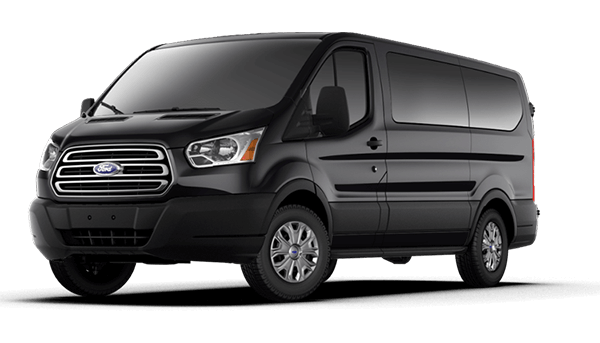 Ideal for small groups, family transportation and corporate transportation for groups of up to 10 people. It’s also large enough to carry your luggage without eating into passenger space. We also love how understated yet elegant its exterior is. Apart from being spacious, the interior is also very practical. The seats can be folded into various configurations for better accessibility or to enhance cargo space if required. For Elegance Transportation, For Transit XLT Van is the ideal workhorse. You can depend on it to transport you and your cargo in comfort. Call us now at 1-(800) 680-6353 for special pricing.